I’m from Vietnam and came to Georgia my junior year of high school. I went to a super-religious boarding school. I only told one person I was gay. But then I came to college last year and it was a really open, accepting environment and I had much more freedom. I was introduced to the Gay-Straight Alliance, and I made my first gay friend in college and told him I was gay. Since then, lots of people have known that I’m gay. It feels great because I don’t have to lie to anyone. I can’t stand lying to my friends and not being true to myself. It can be self-destructive. Still, she’s really accepting and she loves me a lot. My mom and I decided not to tell my father any time soon. It’s not because he’d get angry and disown me, but because he has high blood pressure and I don’t want him to be in shock and distress. I love my dad and sometimes hiding little things from him is mentally protecting him. My brother is too young. Maybe when he becomes mature and knows more about homosexuality, I’ll tell him. My mom is still struggling to decide if she should send my brother to the U.S. to go to school. She loves us and can’t stand not having both of us home at the same time. She said she would feel really lonely. I told her it’s not necessary for him to go to America for college. I feel like it might not be worth the sacrifice that he and my family would possibly have to make. Deciding if I ought to go back to Vietnam after graduation is the biggest decision I have to make, and I haven’t made it yet. But I want to make that decision as soon as possible, because it’s really important for me to have clear directions in life. Otherwise, I’d feel like I’m just wandering. If it weren’t for my parents, I’d definitely stay here. I love my family. We are really, really close, and it’s hard to take care of them overseas. I, of course, can be of financial support to my parents, but I certainly can’t give the precious physical caring acts that long distance prevents. But in the U.S. it’s an easier life and there’s more acceptance. Here people are better informed. If they don’t like your sexuality, it’s usually because of their religious beliefs. In Vietnam, homosexuality is a taboo subject. Most people consider it a mental disorder. My mom is very concerned about all the obstacles I’d face from the society if I went back to Vietnam. If I stay in the U.S., I’d like to go somewhere like California or New York. I think a relationship is really important to me. I want to get married, even if it’s not legal. I want to commit to someone and adopt a kid or do a surrogacy. I want to settle down in the future, build a happy family. I sometimes want to go to the north because it’s hard for me to find a relationship here. I’m an international student, so I don’t know a lot about the culture. I constantly try to learn, but compared to someone who grew up here I don’t have a lot of cultural experience. Second of all, it’s hard because I’m Asian. In the South, lots of people are only interested in people of their same race. Not discrimination, per se, but it’s understandable that people have preferences when it comes to relationships. I just really want to be in a relationship, though. I’m an emotional person and I need a loved one close to me to help me go through the day. Sometimes I want someone to cuddle and watch a movie with on a weekend night. I’ve grown weary of going out and partying every weekend. It can become pointless and senseless at times. 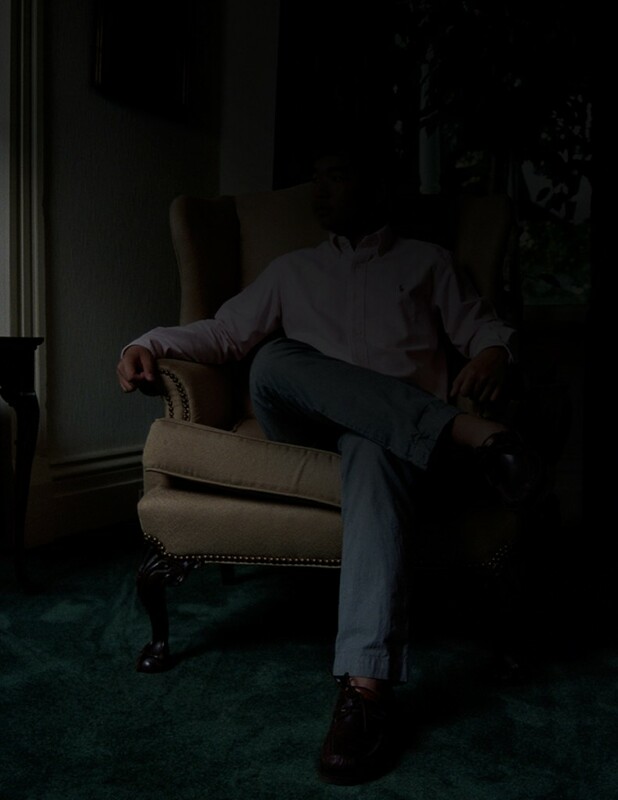 Because of the cultural prejudice in Vietnam and in consideration of his conservative extended family, the subject profiled above chose to remain anonymous. As told to Diana Scholl.